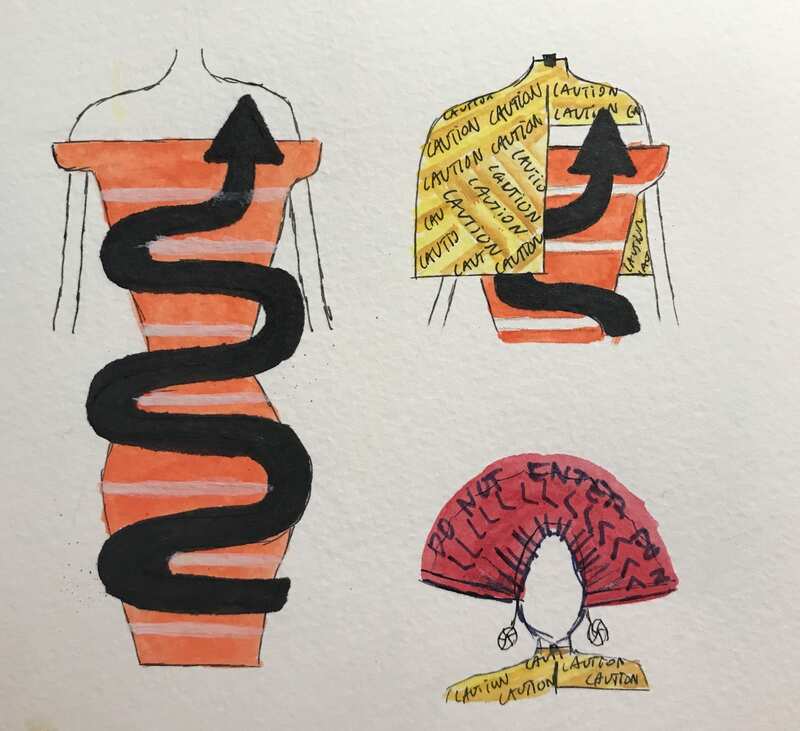 The theme I got was transportation so I first got inspiration from a nun´s coat in the met gala by sketching a half yellow caution tape coat. I decided to create my first garment based on street signs I saw on Chinatown but since street signs are all over New York, to make the garment adapt more to the Chinatown environment I added as a hair decoration a red Chinese fan but instead of having a Dragon sketched to it, I have in mind writing a “Do not enter” sign. I also have in mind making an orange and white striped panted leather dress that symbolizes a traffic cone which I also saw in Chinatown. And a curved black arrow that also symbolizes a street sign.